Just thought I'de share a quick project I made and plan to use as teacher's gifts this year. The Chunky jewelry is so fun and stylish. There is no reason you shouldn't be able to make your own! So here are the easy steps to making your stretchy bracelet that is a winner for everyone since it is a "one size fits all" technique. I made several of these in less than an hours' time! 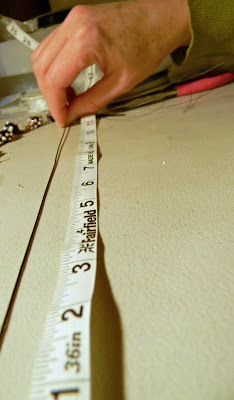 First measure out your 1mm cording to 10-12". I recommend more when you aren't accustomed to using cording. The end could be tricky, so the extra give will allow for mistakes and reduce frustration. Next, select the beads you want to use. Don't these look happy? I love the fresh look of turquoise and greens! Next, tie a loose square knot at the end of your cord. You may even choose not to cut your cord until you are finished. 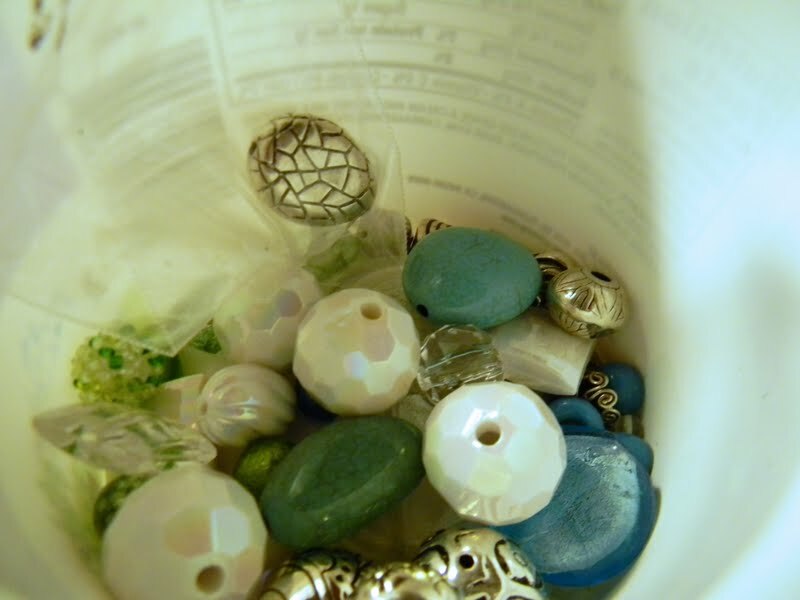 Start stringing your beads leaving the weight of them on a flat surface in case the knot gives way. Especially if you decided not to cut the cording yet, measure as you go keaving a good inch or more at the ends. At the end you want to tie the cording like you would a water balloon. This is the only knot that will stay secure! Trust me, I've tried. Even with glue other knots don't hold. Sometimes I like to add a knot, just to be sure. No glue is necessary. In fact, I don't recommend it because some glues cause the cord to become brittle and break with wear. Clip off the ends close to the knot leaving a little edge. I'm thinking this one will go happily on my wrist with me on my son's field trip tomorrow! I especially like the pink and black and turquoise and green. Thanks for linking up with DIY under $5!